So I’ve gone and actually bought a couple of the things that have been in those subscription boxes because basically I’ve already used them and need more! The Philip Kingsley One More Day Dry Shampoo is actually amazing and kept my hair looking clean and itch free for a week. Not that I intend to repeat the exercise to that length of time but the experiment illustrated to me how useless the other dry shampoo I had previously used had been. This is awesome. At £14.99 for the bigger can you would hope so but honestly, it showed me that the other one was a waste of money, no matter how cheap. The Benefit They’re Real Mascara is fantastic. It is the thick non clumpy mascara that I crave. I really love it so popped out and bought a new one which somewhat happily came with a free travel sized one. Awesome! 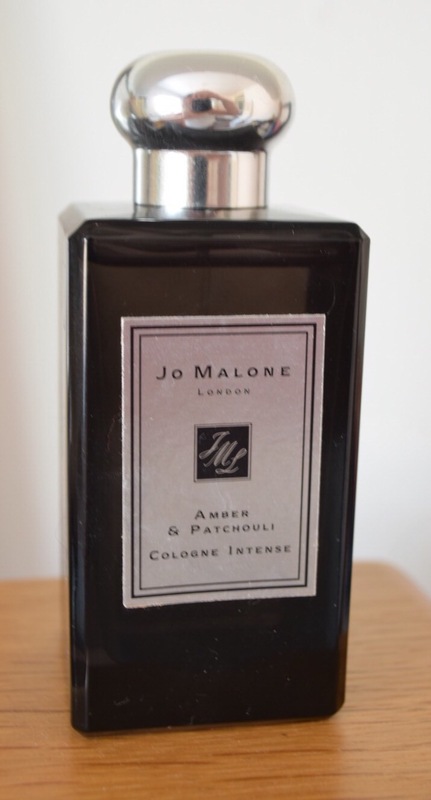 New things I have tried and am loving include the Amber & Patchouli Cologne Intense from Jo Malone. My first try of any Jo Malone products and I went all in with a candle as well. Good thing I had sold some Pyrex that week! The smells are musky and thick, just how I like them. I am a bit of a pyromaniac and love a good fire and the cologne and the candle I bought both make me feel all warm and cosy! The Ever Matte Powerless Primer from Becca is really effective on my eye-lids which get very oily and tend not to hold eyeliner. Not anymore! This is my new secret. Will be buying another one of these but I think it will last ages! (Got this in a fantastic free gift box from Cult Beauty). From a recommendation by my new goddess, Caroline Hirons, I have the Oskia Mirco Exfoliating Balm. I use this a few times a week to get rid of the dead skin on my face. It is so relaxing to use and I notice the difference. Never having been one for any sort of skincare let alone a lot of it I am quite enjoying the experience and this has been one of my highlights. The pot will last for the rest of my life I think! My absolute favourite moisturiser ever. I mean ever. Perricone MD Face Finishing Moisturiser. Something else from the Cult Beauty box. OMG. It’s like condensed milk in a jar. It smells delicious and it is so thick and cold. It is really happiness in a jar. Sadly I have used the pot and tried to reorder it but am currently on a wait list. Far too popular! I’ve really got into reading blogs so am taking some of the great recommendations forward. Many recommendations for Nars so I have gone for one of their tinted moisturisers. The counter assistant at John Lewis in Bluewater was really helpful finding my right colour. And I must say I love it. I love the coverage. I’ve been using those L’oreal masks this week that I got at the bargain price of £5 in Boots. They only take 5-10 minutes and they dry hard. 10 minutes out of my day has proved very relaxing. I put a candle on before bed and just relax. A bit of Danish hygge! My big revelations in the last month have been, in no particular order, Caroline Hirons and Cult Beauty. Caroline Hirons is literally a skin care expert. She gives great advice and her website is a must check out. All hail Caroline. She is a no nonsense, say it like it is, kind of girl. She knows skin. And it is all about the skin care. She works closely with Cult Beauty and my first introduction to them both was the Caroline Hirons Cult Beauty box which contains her recommendations for skin care. I didn’t love everything in it, haven’t got round to trying some of it, but have basically used the other bits.